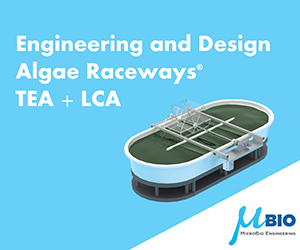 lthough removal of nutrients from wastewater by algae is well established in India, Phycospectrum Environmental Research Centre (PERC) claims to be the first organization in India to take microalgal technology successfully to other industries. India’s first large-scale phycoremediation (algae based remediation) plant was established during 2006 in the chemical industry for SNAP Natural & Alginate Products Pvt. Limited (SNAP), at Ranipet, Tamil Nadu, India. SNAP was established in 1979 to manufacture salts of Alginic Acid, Carrageenan and seaweed extract as an organic agricultural input. Their manufacturing activity is spread over a 12-acre site. The salts of Alginic Acid are produced from Sargassum seaweed (brown algae) collected from natural beds and Kappa Carrageenan, produced from Eucheuma Cottonii (red algae) cultivated in the sea. 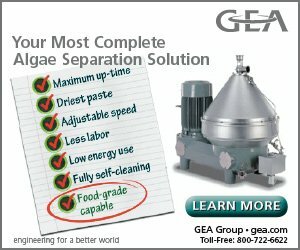 The SNAP facilities generate a solid and a liquid discharge. The solid discharge consists of the remains of seaweeds after the extraction of alginates, which are composted. The liquid discharge is the wash water of the seaweeds, which is acidic and essentially contains organic total dissolved solids (TDS), sea salts, and sea sand. 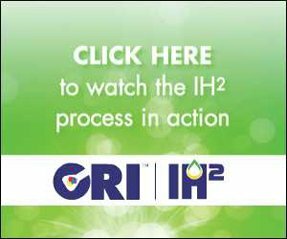 The major problem addressed by the PERC technology team was pH correction, which was done conventionally using huge amounts of sodium hydroxide, and generating a considerable amount of sludge. PERC’s algal technology has helped to correct pH without using any chemicals and now, with the TDS of the effluent around 40,000 mg/L, the entire effluent is evaporated without generating any sludge. Algal cell density is maintained at 23 x 104 / ml (0.75 g/L on dry weight basis). 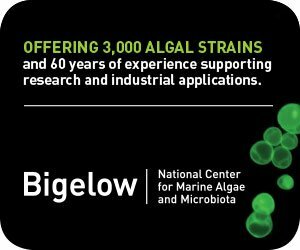 Excess algal biomass is regularly harvested by the industry to produce bio-compost/bio-fertilizer and aquaculture feed. Two tons of both of these products (06 EMMA and PLANK-10) are produced per month, yielding $2 million/year). 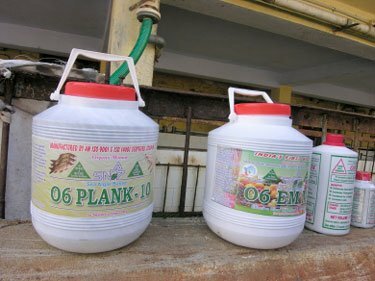 PLANK-10 is widely used at aquaculture farms throughout India to reduce harmful algae, improve plankton levels, reduce biological oxygen demand (BOD) and chemical oxygen demand (COD), and improve dissolved oxygen in fisheries’ ponds. 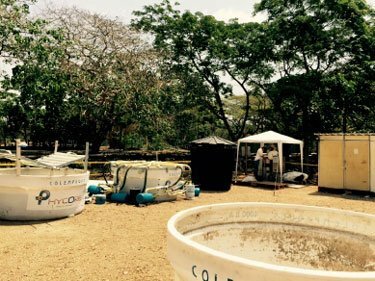 Pilot plant installed jointly by PERC, India and Core Biotech, Colombia (PHYCORE) at Camaguey slaughterhouse in Barranquilla, Colombia. PERC, after the success with SNAP, has installed a number of pilot and large plants in India covering a variety of effluents from chemical, pharmaceutical, textile dyeing, food, leather, petrochemical industries for managing pH, color, TDS, BOD, COD and sludge. At the Oil and Natural Gas Corporation’s (ONGC’s) natural gas processing plant at Surat, India, PERC has demonstrated the potential of microalgae to sequester flue gas. 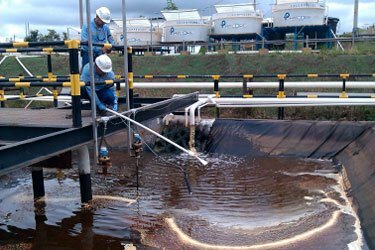 Phycospectrum and Colombia’s PHYCORE, via a 20 KL pilot plant installed at an oil drilling site of Pacific Energy, have successfully demonstrated handling petrochemical waste, efficiently reducing nutrient load, coliform bacteria and traces of aromatic hydrocarbons. 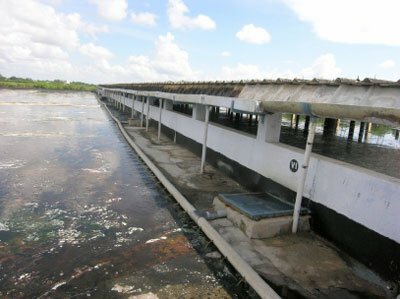 The duo has also recently installed a demo plant at a slaughterhouse in Barranquilla, Colombia.